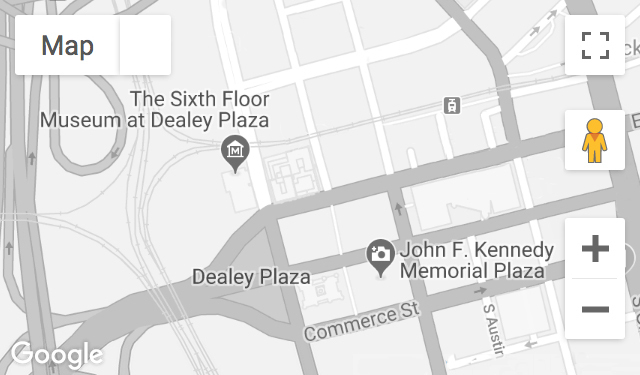 DALLAS, TX – April 19, 2017: In honor of the centennial of the birth of President John F. Kennedy, The Sixth Floor Museum at Dealey Plaza is pleased to present an exceptional public program on Tuesday, May 16, 2017. This unique event will feature President Kennedy’s nephew Stephen Kennedy Smith, noted historian Douglas Brinkley, and journalist/author Rena Pederson as moderator. Kennedy Smith, the eldest son of President Kennedy’s only surviving sibling Jean Kennedy Smith, and Brinkley are making a special trip to Dallas to discuss JFK: A Vision For America, their compilation of John F. Kennedy’s greatest speeches. This comprehensive reflection on President Kennedy’s life and legacy includes the president’s hand-written notes, hundreds of rarely seen photos and commentary by America’s top historians, leading political thinkers and preeminent writers and artists, including the Dalai Lama, Robert Dallek, David McCullough, Senator John McCain, Senator Elizabeth Warren and many others. Hosted on the Museum’s seventh floor, the two-tiered event begins at 6 p.m. Tuesday, May 16, 2017 with a mix-and-mingle reception with Kennedy Smith, Brinkley and Pederson. The program will start at 7 p.m., followed by an 8 p.m. book signing. Tickets are $125 for the reception, program and book signing and include a copy of JFK: A Vision For America. Program-only tickets are $40. Tickets are available in advance at jfk.org and at the Museum. Stephen Kennedy Smith is a lecturer at the Sloan School of Management as well as a fellow at the Connection Science Group at MIT. He received his BA from Harvard University, JD from Columbia University and EdM from the Harvard Graduate School of Education. He has served on the staff of the Senate Judiciary and Foreign Relations committees and is a three-time recipient of the Danforth Award for Excellence in Teaching at Harvard University, where he taught at Harvard Law School. He continues to be active in Democratic politics and lives in New York City. Douglas Brinkley is a professor of history at Rice University, the CNN Presidential Historian, and a contributing editor at Vanity Fair and Audubon. He is the author of a number of bestselling books, including Cronkite, which won the Sperber Prize for best book in journalism, and The Great Deluge, which won the Robert F. Kennedy Book Award. He is a member of the Society of American Historians and the Council on Foreign Relations. He lives in Austin, Texas. Moderator Rena Pederson is a nationally recognized journalist and author who has interviewed Fidel Castro, Margaret Thatcher, Julia Child, Jane Goodall and U.S. presidents from Carter to Clinton to Bush. Texas Monthly once called her “one of the most powerful women in Texas.” She was a member of the prestigious Pulitzer Prize board for nine years and a former speechwriter. She is currently a contributor to The Huffington Post and public radio and lives in Dallas.